Home / News / Mandalay Bay casino sues victims of Las Vegas shooting massacre. Here’s the insane reason why. Mandalay Bay casino sues victims of Las Vegas shooting massacre. Here’s the insane reason why. MGM Resorts International has filed a lawsuit in federal court against more than 1,000 victims of last October’s shooting massacre claiming it is not financially liable for the tragedy. The massacre occurred on the night of Oct. 1 during a country music festival on the Las Vegas strip. The perpetrator, firing from the window of the Mandalay Bay Resort and Casino, murdered 58 people and shot more than 400 others. In total, there were more than 800 victims. MGM Resorts owns Mandalay Bay. Because MGM hired the security company for the Route 91 country music festival, the protection extends to MGM, the lawsuit argues. MGM does not seek damages against the massacre victims. 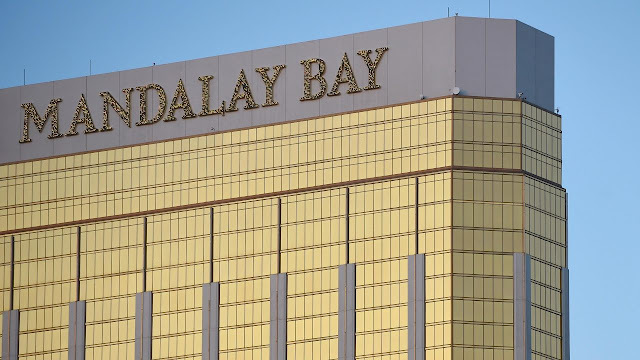 Instead, its filing only asks a judge to consider whether the 2002 law extends its protections to MGM, and if so, to disallow future civil litigation against MGM relating to the tragedy. Debra DeShong, a spokesperson for MGM, said MGM’s filing will provide a “timely” resolution for victims. “Years of drawn out litigation and hearings are not in the best interest of victims, the community and those still healing,” she said, according to the Review-Journal. MGM failed to properly monitor the Mandalay Bay, including who was entering and leaving the premises. MGM failed to properly respond to the killer shooting a casino security guard. MGM failed to take adequate precautions against a potential killer stockpiling weapons and ammunition. The killer, who had VIP status with MGM, was allowed to use a service elevator. MGM failed to properly train employees how to identify suspicious behavior. “I’ve never seen a more outrageous thing, where they sue the victims in an effort to find a judge they like. It’s just really sad that they would stoop to this level,” he told the Review-Journal.